Arbaaz Khan, who is embroiled in the IPL betting scandal, was spotted on a dinner date with ex-wife Malaika Arora. 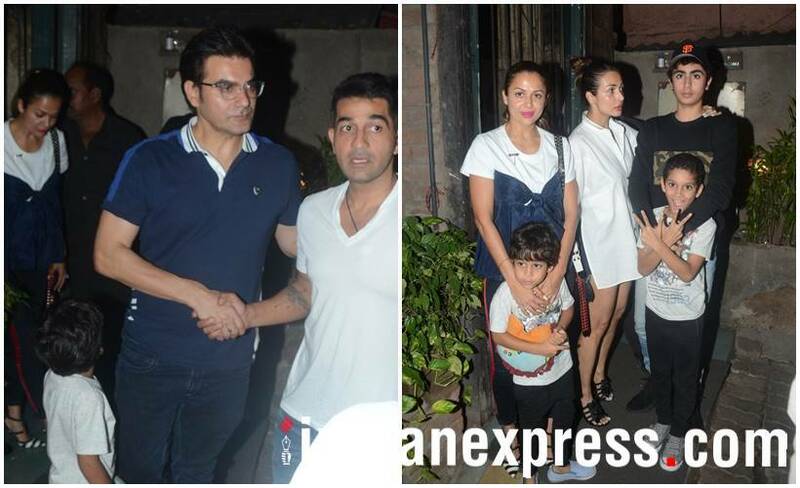 The two were accompanied by Malaika's sister Amrita Arora and her husband Shakeel Ladak. 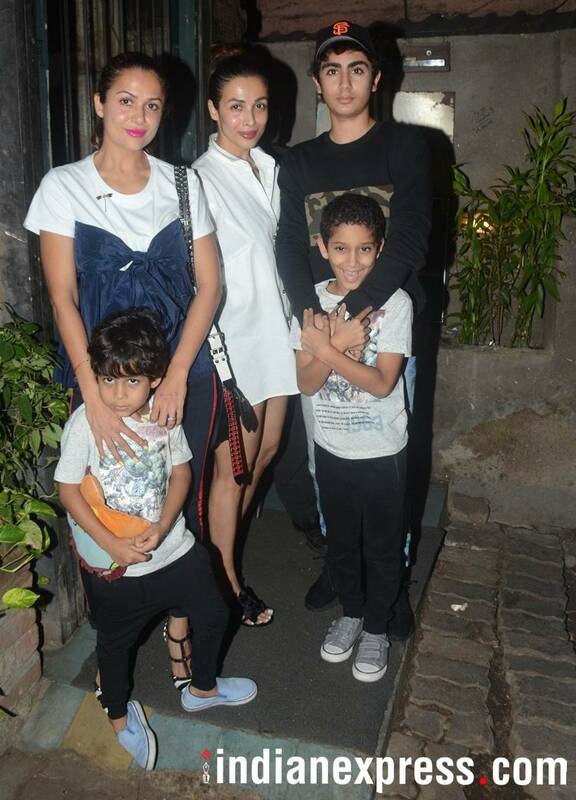 Arbaaz and Malaika’s son Arhaan and Amrita’s children were also present. 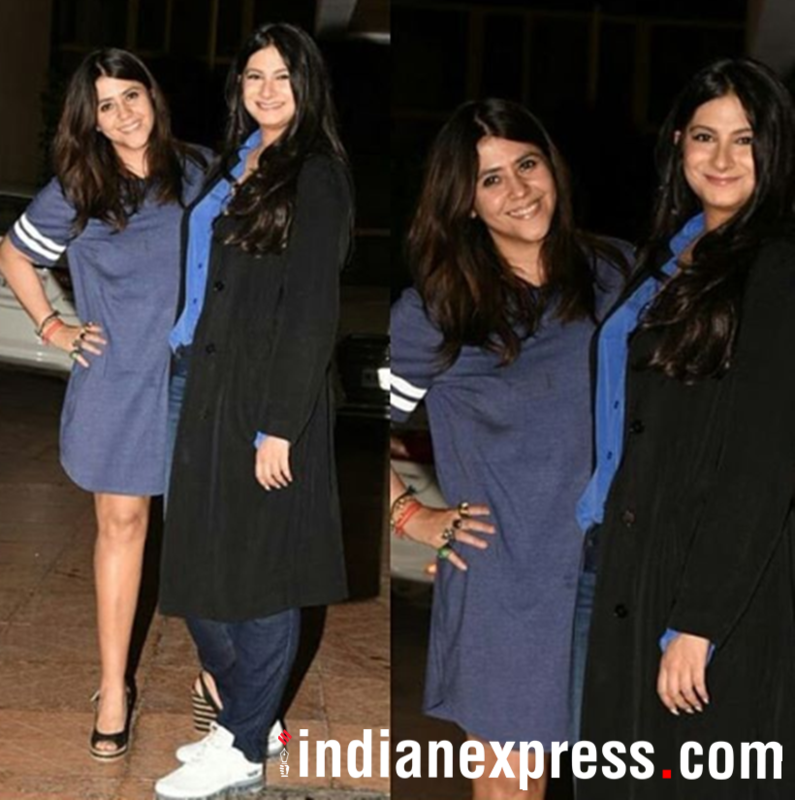 To mark the success of Veere Di Wedding, its team held a party at Ekta Kapoor's residence on Tuesday night. Veere Di Wedding producer Rhea Kapoor is a happy producer as her latest project is nearing Rs 50 crore at the box office. Anil Kapoor was all smiles for the cameras. 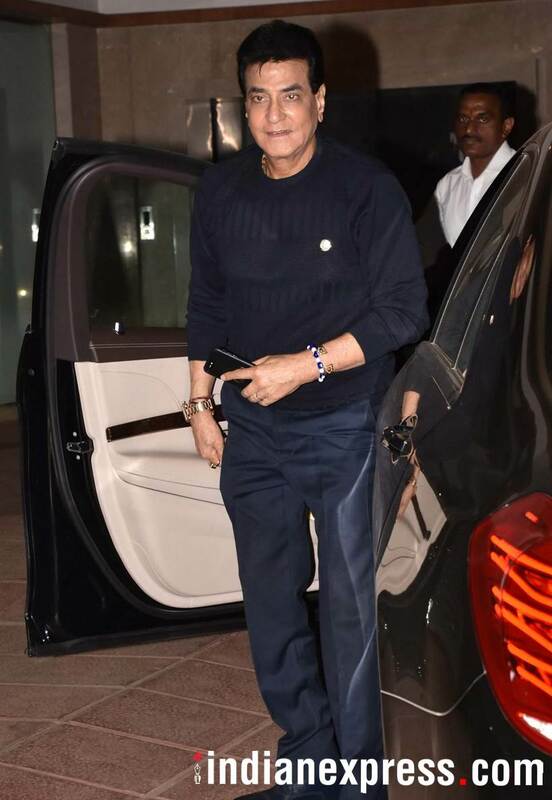 Veteran actor Jeetendra also attended the Veere Di Wedding success bash. Co-producer Nikhil Dwivedi was also spotted at Ekta Kapoor's house. Our shutterbug caught Anushka Sharma at the Mumbai airport. Anushka Sharma returned to Mumbai after wrapping up the US schedule of her upcoming film Zero. Sonakshi Sinha was also seen at the airport. Taapsee Pannu, Prachi Desai and Vicky Kaushal were among others seen at the airport. Janhvi Kapoor, whose Dhadak will hit the screens on July 20, was clicked at Manish Malhotra's house.